Newest EOM problem solver, master of Rubik’s cube and trivia! 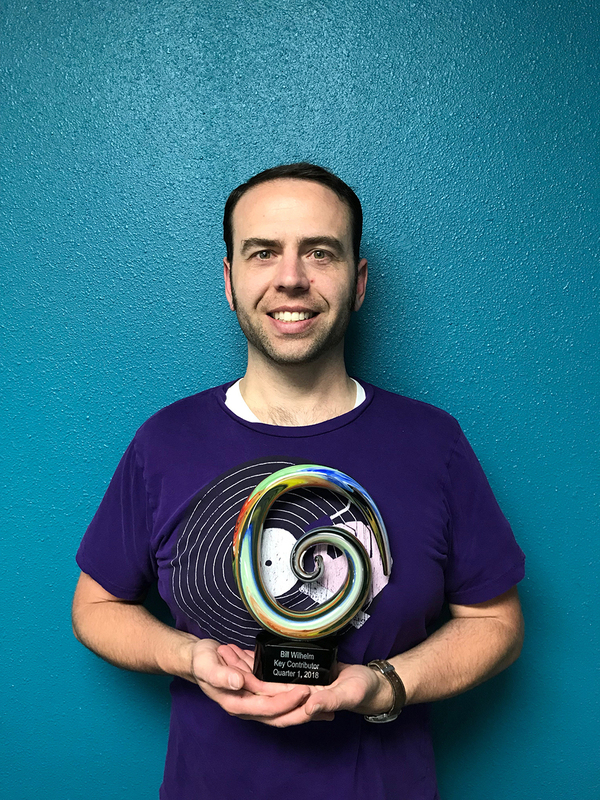 It’s safe to say our Better Learning Systems & LearnKey employees of the month are great at doing more than just one thing and this month’s recipient is no different. We are congratulating Bill Wilhelm from our Cedar City office. 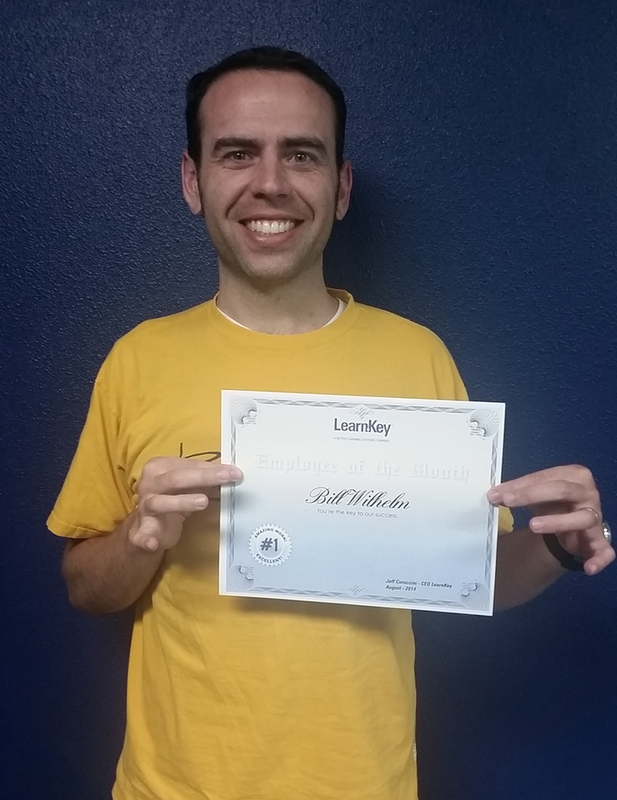 Bill has been with LearnKey Cedar City for over a year and a half and in that time he has become one of our most valued employees and built a reputation for being a master of everything he touches. Take for example needing help with the right combinations of a code fix for a demo file? Or how about fixing OnlineExpert.com to pause correctly? Better yet, what about secrets of a Rubik’s cube? Bill to the rescue, says his leadership team. Probably one of the greatest qualities of Bill’s contributions is he does his job with a very easy-going attitude which makes him a great team player. Bandits. It features a Suburban like mine as the bank robbers’ getaway car (see question 8). 3. What is your favorite band? I absolutely love being on the water at Lake Powell. 5. What was your high school’s mascot? 6. What is the weirdest combination of foods you have eaten? Once, on a whim, I requested a deep fried peanut butter and jelly sandwich with onion gravy on top. My co-worker actually made the thing, and I did try a bite. It was every bit as nasty as your imagination can make it. 7. What is/was the name of your favorite pet? Dewey, he was a miniature dachshund with a great temperament. 8. What was is your first car? 1970 Chevrolet Suburban. I still have it and drive it regularly. 9. If you could go anywhere in the world where would it be? My wife and I would like to go on vacation to Thailand together some day. 10. Would you rather sky dive, bungee jump, zip line, or parasail? Why not all four? I’d be up for any/all of them. 11. What is the funniest saying you have heard while working here? 12. If you could eat dinner with anyone from the past, present, or future, who would it be and why? I could over analyze the hypothetical ramifications of this question for weeks. Instead I’ll say Nikola Tesla. We’d have ever so much fun pontificating on his plans and apparatuses which are now lost to history while enjoying a specially prepared entrée of legume and fruit paste, surrounded by baked dough slices and briefly submerged in hot fat! We are very fortunate to have Bill as part of the BLS/LearnKey family and value his contributions. 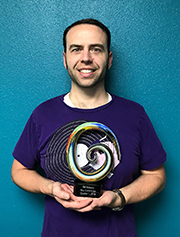 He exemplifies our core values through making it easy for team members to work with him, providing problem solving skills that are of great value, and building trust with his leadership team. Thank you Bill and congratulations!